According to the St. Louis Dispatch, former payload specialist Robert J. Wood died in a car accident on February 19, 2009. The Missouri Highway Patrol has identified the victim as Robert J. Wood, 51, of Wright City. Wood, the father of five, was a triathlete who worked as an engineering manager at Boeing. Wood's car was rear-ended about 12:15 a.m. as he drove east on Interstate 70 near Bryan Road, police say. The patrol said Chad E. Frazer, 29, was arrested after he ran out of his wrecked vehicle and away from the scene. Investigators with the Missouri Highway Patrol say Frazer's blood-alcohol content was measured at .27 about 90 minutes after the crash. That's more than three times the legal limit of .08. Though he never flew in space, as an engineer with the McDonnell Douglas Aeronautics Company, Wood was chosen as the second industry payload specialist in March 1985 and served as backup to payload specialist Charles Walker on STS-61B. 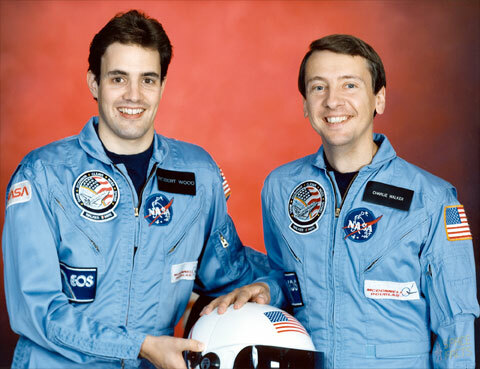 Wood was assigned to fly on STS-61M, but the mission was canceled after the loss of space shuttle Challenger. A moment of silence can be signified by an entry with no words and only a period. From: Oklahoma city, Oklahoma U.S.A. So tragic to lose your life because of the reckless actions of another! My prayers go out to his family and I hope the person who killed him spends the rest of his life behind bars. Here is a cover autographed by him. It was a shame the experiment never flew. It was a shame the experiment never flew. The experiment, the Continuous Flow Electrophoresis System developed by McDonnell Douglas, did fly on three missions with Charles Walker -- STS-41D, STS-51D, and STS-61B. Robert- You are absolutely 100% right. It was the payload bay unit which never flew. 2008 was a terrible year for losing people in the spaceflight community and it appears that 2009 will be the same. Tragic to lose someone by someone else's actions. The world is a lesser place. 2008 was a terrible year for losing people in the spaceflight community and it appears that 2009 will be the same. Sadly, we're going to be seeing an ever-increasing rate of losses in the coming years, as most of the pioneering astronauts, engineers, mission controllers, etc. enter their 80s and 90s (assuming they aren't already there). I hate to think how few of them will remain with us ten years from now. But it seems doubly sad when a guy like Wood is taken so suddenly in the prime of his life. 51 was way too young. 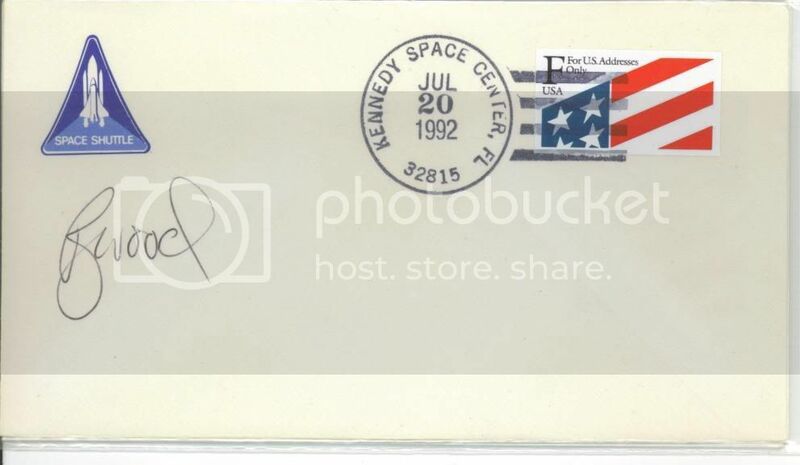 Do we know yet if NASA is planning any kind of memorial service and do we know where a gift in memory of Robert can be made? I did meet Charlie this weekend at Spacefest and it turns out we had a mutual friend in common as well who worked with him when they were at MDD (not Robert Wood). If Robert was anything like Charlie, then we truely have lost a great individual as these engineers selected for PS duties were more then just mere "payload". As for anything from NASA's side, I doubt it since the industry PSes didn't work for NASA at all and the only thing they had were the NASA patches on their flight suits. More then likely though considering Robert still worked for Boeing, there will likely be a memorial on that side as the former MDD community at Boeing in St. Louis is a tight one as I understand it. Does anyone have a more recent photo? The St. Charles Journal has a photograph of Wood from August when he was competing in a triathlon (the same photo was reprinted by the St. Louis Dispatch in the story linked from the original notice of Wood's passing). Copyright 1999-2014 collectSPACE.com All rights reserved.